Awnaba has joined the Adaptavist family! Awnaba has been acquired by Adaptavist. Find out more about Adaptavist. The new version 2.1.1 of Plugin Project Configurator for JIRA has just been launched. As usual, it has been released in two different versions: 2.1.1-J6 for JIRA 6.3 and 6.4 and 2.1.1-J7 for JIRA 7. The version for JIRA 7 is the first one to be officially compatible with the new JIRA 7.3, something that has been demanded by users in the last few days. 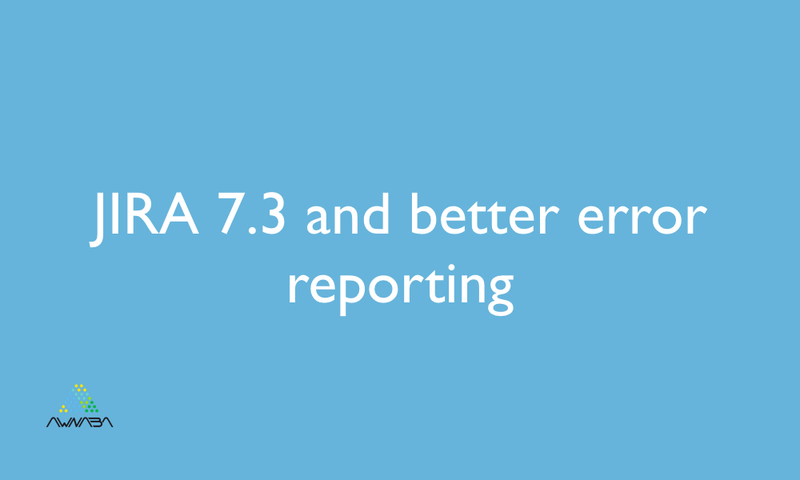 The new version is mostly focused in improving error reporting and handling. Some error messages are now clearer and more informative for the JIRA administrator using the tool. In some cases, we have corrected situations where an error was not reported immediately and the import process continued, just to fail some steps later. This made the original error go unreported, complicating a lot the analysis of the problem. We hope these improvements will make the work of our users easier!